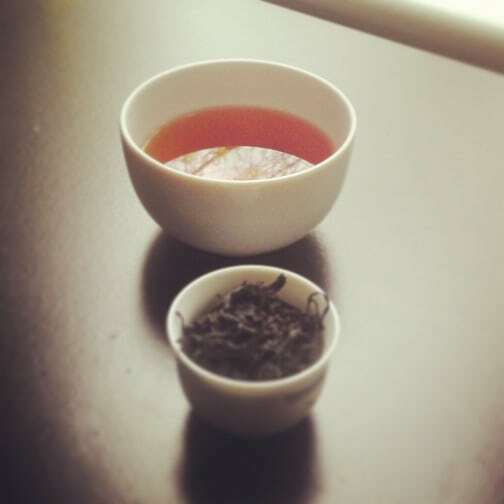 I chose a weird time to talk about autumn flush Darjeelings. For one thing, it hasn’t been a typical year for the region. (An understatement, true.) But before I get into that, I should probably explain what I mean by “Darjeeling autumn flush”. Here’s a bit of a primer. This is an awkward statement to make right now . . . but . . . I’ve been on a bit of a Darjeeling kick, lately. Photo by Nathalia Leter. Used with permission. Especially given recent (at the time of this writing) news reports. And I’m not going to delve into any of that. 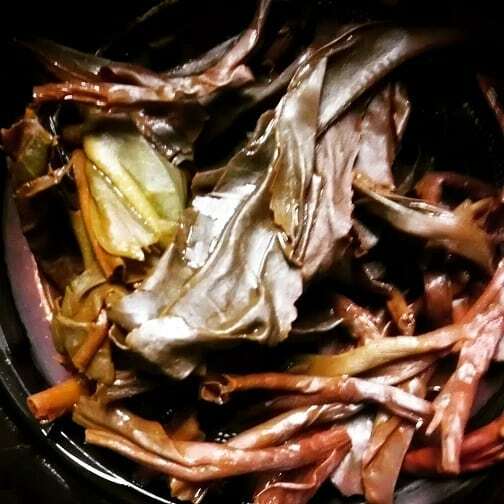 This is a tea blog; I tell tea stories. 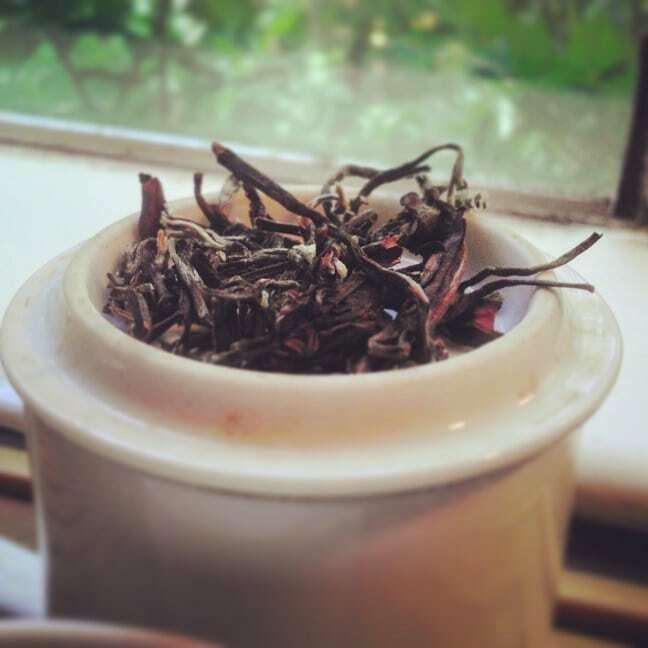 And this is—for once—a happy tea story about Darjeeling. A “wild” one. I “heart” the Doke tea estate. No, I’m not ashamed to use the word “heart” instead of “love”. Especially today. Okay, I winced a tiny bit at the grammatical incorrectness of it (and the cutesiness of it) . . . but the sentiment still stands. And, given when this blog is going up, the cutesy incorrectness is fitting. 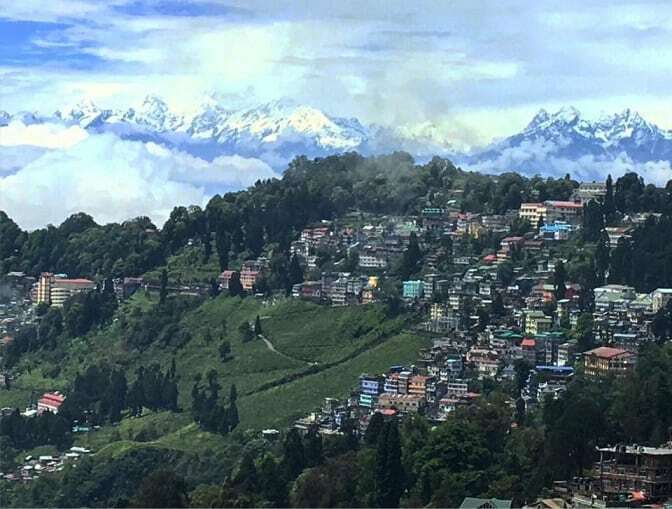 The Kanchan View tea estate in Darjeeling has a rough history. The garden was first established in the 1880s, where it first went by the name “Rungneet”. At the peak of its hundred-plus-year production, the 250-acre garden accounted for at least 100,000 kilos of tea a year. Now? It only does about ten percent of that. The reasons for this are long, complicated, and varied. 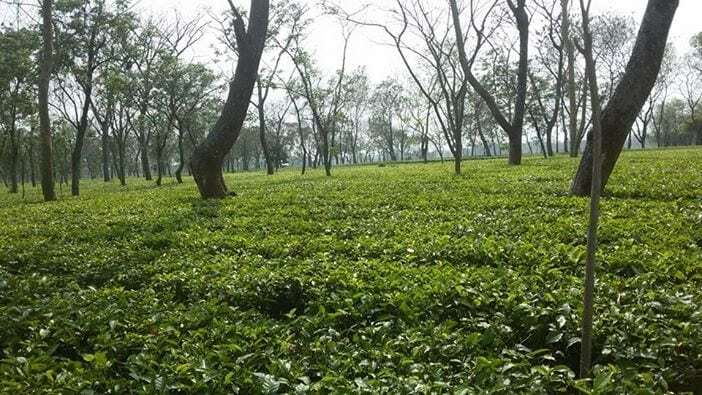 I’ve already written about the Doke tea estate in Bihar, India on several occasions. Everyone who reads this blog already knows my leanings toward it. That being, it’s my absolute favorite Indian tea garden. Yes, in all of India. But out of the countless tea profiles, taster notes, and lapses in narrative judgment, there is one thing I haven’t done. I haven’t had the opportunity to try all four of Doke’s teas from one season, in one year, in one day. That is, until Lochan Tea supplied me with such an opportunity. And all was quite spiffy. In neither a hurry nor jiffy. Made sure they were fed. For they both wished me dead. 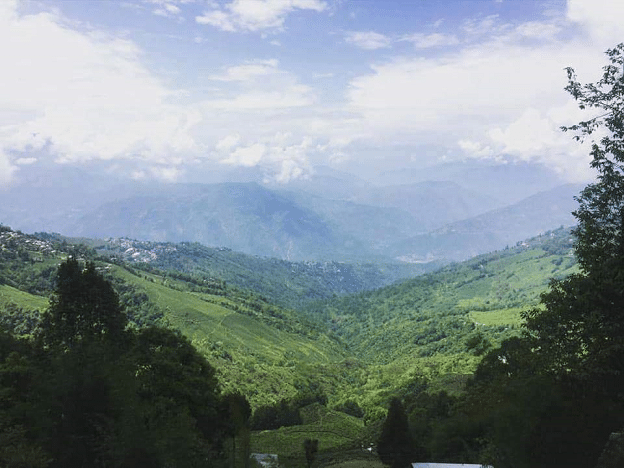 The Giddapahar tea estate rests near the center of the Kurseong Valley. The name translates to “Eagle’s Cliff”. While still considered high altitude in most respects, it represents one of the lower altitude gardens in that region. One of the most unique aspects of the estate is its size. 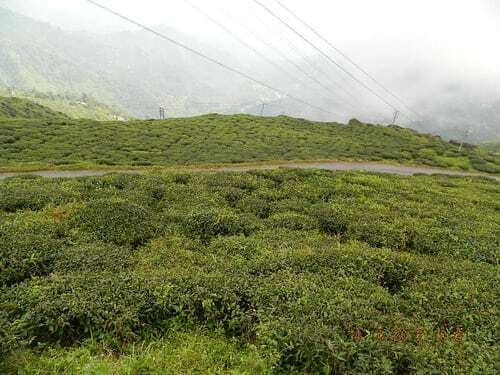 Compared to many other Darjeeling ops, it’s rather small – 110 hectares total, 90% of which are covered in tea plants. Most of the bushes they use are small leaf Chinese cultivars. Luckily, the garden had a website for me to look all this up. How many tea estates actually have a website? Not many, I’ve found – unless they’re huge. Granted, the site needs a lot of work. It was apparently made in 2013, but looks like it was rendered in 2003. Plus, there’s weird New Age music playing in the background. It’s eerily soothing. Those nitpicks aside, though, “A” for effort. 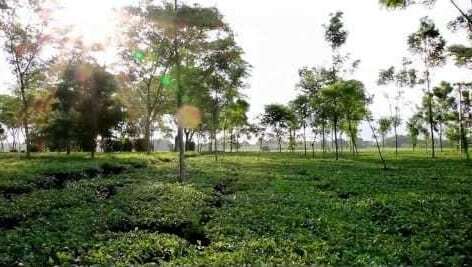 The surname of a tea estate in Bihar, India owned and operated by the Lochan family. 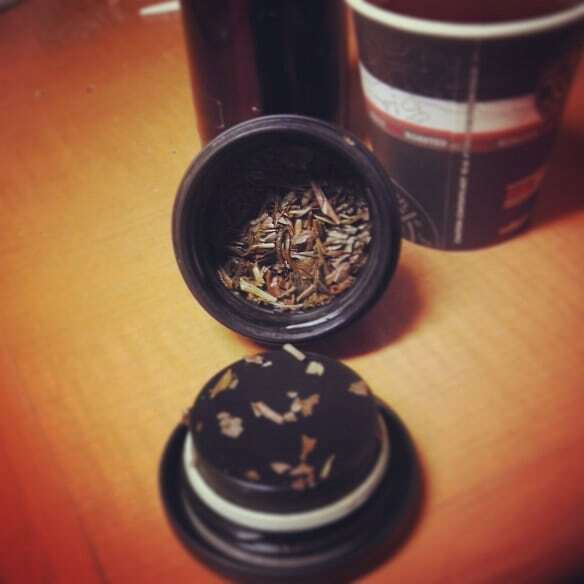 To induce a state of mind in a Doke tea drinker, wherein they experience equal parts bliss, resiliency . . . and/or blind, seething rage when denied said brew. Whoah! I thought. Just a few days prior, I’d wondered how I was going to acquire some of that tea this year. For those that don’t know, Castleton Moonlight, second flush, is my absolute favorite tea. Of all time. I first fell in love with it in 2011. And I’ve made it a point to get a hold of it every year since. It’s an oolong from the Darjeeling tea estate dubbed Castleton. I did a full write-up on my history with that tea for the Lochans, which can be found HERE. If I did get a hold of it, that would mark my fifth anniversary with said tea. They were curious how this year’s stacked up against last year’s offering. And, truth be told, I was morbidly curious as well. Teas and tea types tend to growing season to growing season. Influences like weather, processing, and quality of the terroir all play a part, and all factors are never completely consistent year-to-year. 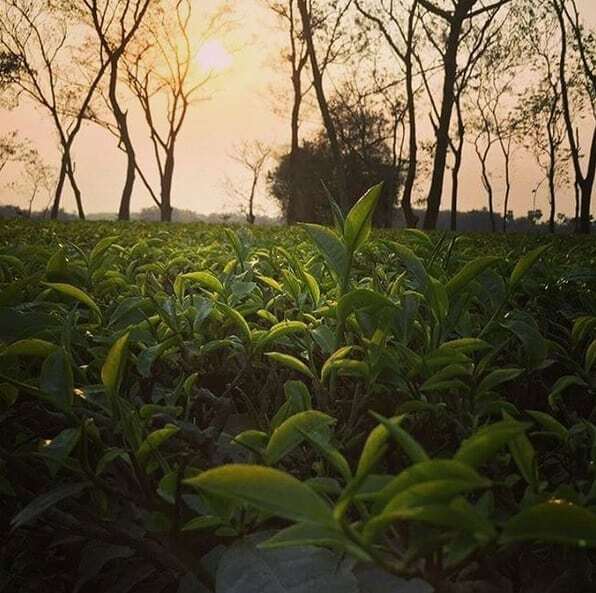 From what I heard, Darjeeling second flush teas had a late start this year due to weather conditions. I received the package a week later, and immediately tore into it. Keep in mind, this was at 6PM. Well beyond my usual “black tea” hour. Let’s talk a little about terroir. It’s a word usually bandied about by wine folks in order to sound “edumacated”. Blame the French. The word “terroir” derives from the French word “terre”, which literally means “land”. Terroir, as a concept, is applied to plants that are influenced by the “land” where they grow. Geology, geography, climate, and other aspects of the biosphere affect what grows in certain ways. And especially in the case of wine, coffee and tea, the taste of said terroir shows up in the finished product. Tea plants are especially absorbent of their environment. Case in point (as I’ve mentioned in prior articles), Hawaiian teas taste distinctly . . . well . . . tropically Hawaiian. 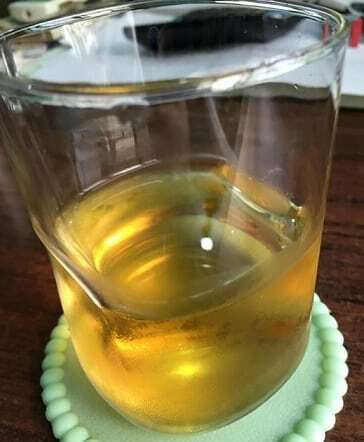 Wuyi cliff teas taste rather . . . uh . . . cliffy. [Credit: Nicole Martin] And teas from the Himalayas take on a grapy bend, for some reason. Which brings me back to Doke Tea. Yet again. Seriously, I think I’ve written about this tea garden more than any other. I can’t help it. Their teas are awesome, the Lochan family is awesome, and I feel awesome when drinking their wares. Of the four or five types of teas this garden in Bihar, India produces, I’ve noticed a common underlying flavor profile. It’s difficult to describe, and far different from any other Indian tea growing region. 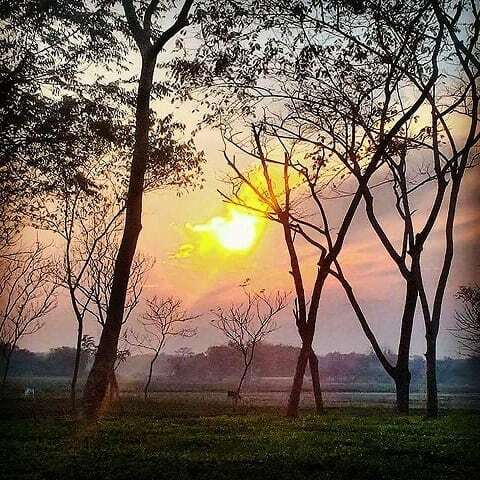 Something about the terroir near the Doke River imparts an ever-present, honey-nut-spice taste trifecta. 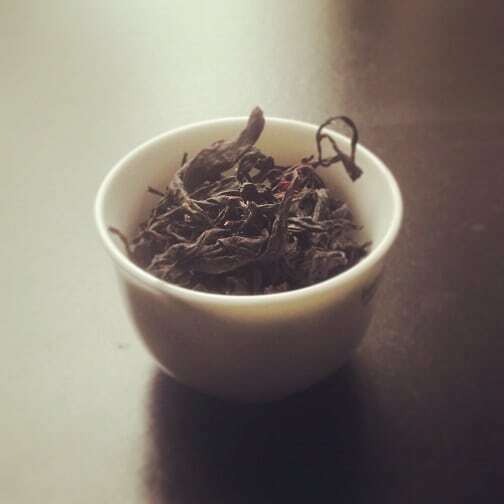 A trinity of taster notes that is especially present in their flagship black tea – Black Fusion. I have a very interesting relationship with this tea. One would if they’ve written about it three times. After three successive growing seasons. Only now do I realize how wonderful an opportunity that was, to see a tea’s evolution and growth over the course of a year. And in February of this year, Vivek Lochan offered me a chance to try their 2015 first flush Black Fusion. A slight digression: The journey of this tea to my cup was especially frustrating. I wasn’t at my apartment when the package arrived, so the courier left a note telling me where to pick it up. The next day, I went to fetch it after work . . . two towns away. I made the trek only to find out that they delivered it to my apartment complex’s office. Well, why the hell didn’t you do that the FIRST time?! I said to myself (but not out loud). Two months would go by before I dipped into the new batch of Black Fusion. The day I finally decided to brew it up, my Internet died. I needed something to calm me amidst the downtime. The leaves were gorgeous – brown-to-black, large, plump, and obviously hand-rolled. The smell was like last year’s various flushes of Black Fusion I tried – equal parts honey-like, malty, nutty and slightly spicy. The Doke terroir was in full effect, and I was pleased to see it again. 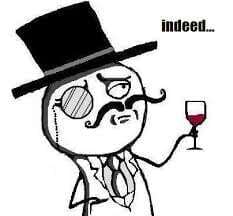 I approached it like I would any other Indian first flush tea, with a little bit of a light touch. I used about a teaspoon of leaves. (Although, with how large they were, it was more like a tablespoon.) I put them in a 6oz. steeper cup filled with 200F water, and waited for three minutes. The result was a dark amber liquor with a deep-bodied, honey-nut machismo to the aroma. When I tasted it, I noticed immediately that it was different than last year’s offerings. The introduction was smooth and sultry, like a dark-haired Latina in a silk dress. As I kept it on my tongue, the honey-nut-spice thing it had going came to the forefront, but absent was the usual astringency that followed. That was the puzzling part. There was no astringency, or at least none that I could detect. I’ve become sort of an expert on the Doke flagship tea, at this point. I even adamantly declared that August 2014’s batch of the tea was my favorite, May was second, and December rounded out third. All were wonderful; all were different. But they all had a rough character to them. This year’s batch was like a distilled whiskey or a matured wine. It was Black Fusion refined – terroir transcendent. A day or so after I did my solo tasting, I was greeted with a photo posted to my Facebook Wall. Phil “World Tea House” Holmans had visited the Doke Tea Estate with a bunch of other tea folks I knew. Jealous? Oh yes, quite a bit. 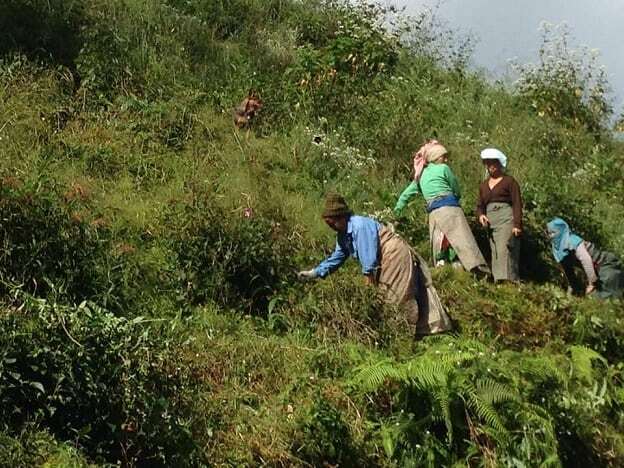 Those lucky bastitches were sampling Doke teas straight from the terroir! My only reaction to this was to drink. A lot. Not sure if it was my seething jealousy, or my poor impulse control, but I went on a total Doke bender that week. 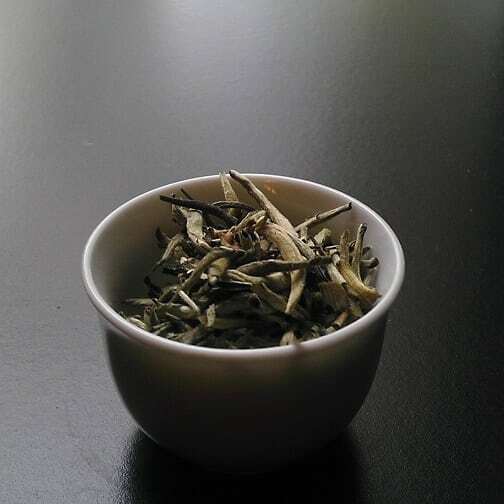 During a chat session with other tea bloggers (Rachel, Jo, Nicole, Other Nicole, and Chris, respectively), I was hopped up on Doke Silver Needle white tea. About three pints of it. A mere day after that, I prepped my daily travel mug with some Doke Rolling Thunder oolong. And brewed it at double the usual strength. Coworkers noted that I was a tad off the wall. One girl even said, “I like you like this.” I was too hyper to properly manblush. I concluded the week taking the last vestiges of my first flush 2015 Black Fusion . . . and blending it with the two 2014s I had in my possession. Yes, individually, they all tasted differently, but put together . . . magic ensued. It was like the honey-nut-spice terroir was somehow amplified. All the creamy, sweet, spicy, malty, nutty, and majestic aspects coalesced into the ultimate tasting experience. Like I was tasting pure Doke.